Will Gregor König’s submission on the patentability of plants make history? With his litigation strategy in the Olanzapine case, the patent attorney has shown what is possible. His speciality is to rethink arguments. But, considering the harsh political climate, his impact remains to be seen. 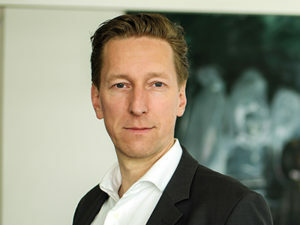 Gregor König (born in 1966) is a patent attorney at König Szynka Tilmann von Renesse in Düsseldorf. 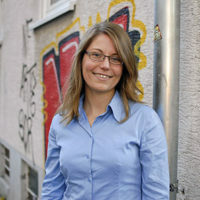 The qualified biologist teaches at Heinrich Heine University Düsseldorf and at the RWTH Aachen. For six weeks Gregor König locked himself in a soundproof glass annex in his house and worked towards this one negotiation. He hardly saw his children. His wife passed König his meals through the window. His colleagues at patent boutique König Szynka Tillmann von Renesse joined him on the case, taking over all other tasks. König gave everything for his client Eli Lilly. The generics industry had attacked Eli Lilly’s schizophrenia drug Olanzapine before the German Federal Patent Court. It was one of the pharmaceutical giant’s most important products. The case would go down in German patent history. At first, the odds of winning didn’t look good. The first defeat came just before Christmas. König still remembers how he felt on the way to the airport afterwards. “I thought it was a deeply unjust result,” he says. The second hearing and written verdict came a few months later – but nothing changed. The Federal Patent Court declared the Olanzapine patent null and void. In May 2008 came a high point in the battle over Olanzapine, with the ruling from Düsseldorf Higher Regional Court. Presiding judge Thomas Kühnen issued a temporary injunction prohibiting generics manufacturers from distributing Olanzapine products, although Eli Lilly’s patent was still null and void. In other words, the judges opined that the Federal Patent Court, which is responsible for technical issues, was wrong and that they – the lawyers – knew better. It became the first injunction of its kind in German patent law. Then followed 17 months of suspense before the Federal Court of Justice finally confirmed the patent. The Olanzapine case made the confident and charismatic Gregor König famous in the patent scene. His reputation as an excellent litigation strategist goes far beyond his expertise in technical matters. And more than any other, the Olanzapine case is an archetype for the convergence of technical and legal expertise on the part of both judges and legal counsel. Germany has a bifurcation system, in which questions concerning patent validity and infringement are dealt with separately by the courts and patent attorneys and litigators have clearly defined tasks. However, many experts believe that bifurcation will not play a role in the UPC. Lawyers with technical and legal understanding and procedural instinct will have an advantage, regardless of their professional background. A lateral thinker with a desire to swim against the tide – it’s how others see König, and it’s how he likes to see himself. But in 2008, and just shy of 40, how good was he in the Olanzapine case? “Unwavering dedication can partly compensate for many years of experience,” is König’s answer. He lives by lateral thinking – perhaps it’s no coincidence that he is left-handed in a world of right-handed people. It was this lateral thinking that won König the pitch over experienced litigators in the pharmaceutical industry. This is despite him mainly cutting his teeth in advising biotech startups and mechanical engineering companies. A decade ago, there were fewer role models for patent attorneys, for example technical experts who were also active in the civil courts. Patent attorneys argued about the lawful granting of patents before the Boards of Appeal at the European Patent Office, or about their validity before the Federal Patent Court. Infringement proceedings before the specialised regional courts fell to the German litigators. 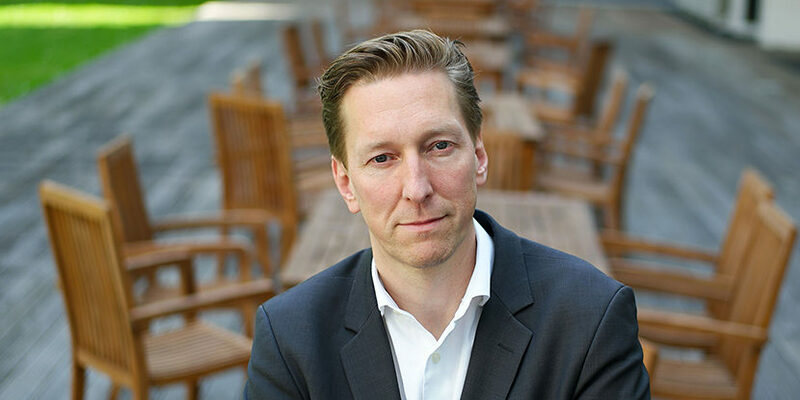 Born in 1966, Gregor König is now one of the most sought-after patent litigators, regardless of in which court. His career could have been a classic father-son story, as his father Reimar König was one of the few patent attorneys whose voice also carried weight in the civil courts. He specialised in engineering patents. The son Gregor’s career path seemed all mapped out. As a teenager, he enjoyed fiddling with lawnmower engines and motorcycles, so he studied mechanical engineering. However, instead of reading technical journals about motors, König read biotech magazines and started breeding pea mutations in his room. He decided to switch to biology. His father was less than pleased. But, says König, over the phone he didn’t show it. Then at the kitchen table the facade fell. “It’s all over now,” his father allegedly said to König’s mother. König senior had already envisaged his son as the successor to his Düsseldorf patent attorney firm. But as with the Olanzapine case, things turned out differently. “Just don’t do biology,” leading patent attorneys advised König. In the 1990s, chemists were the heavyweights in the pharmaceutical industry. But he stuck with biology. After his studies and admission to the bar as a patent attorney, he joined his father’s firm and initially put biology aside. König became deeply involved in mechanical engineering cases and talked shop with his father’s clients. The fact that his business card said “qualified biologist” was of minor importance. Gregor König expanded the two-man firm with Max Tilmann and Dorothea von Renesse. This gave him more time to do other things, such as giving lectures on biotech patents at the universities in Aachen and Düsseldorf. He advised biotech inventors in Cologne and Münster free of charge. However, when his young clients suffered setbacks, so did König. For example, a clinical trial did not produce the desired result and so product development and the IPO were shelved. At the turn of the millennium, the biotech bubble burst and investors withdrew their money from the industry. But the biotech companies that survived the crash grew bigger and bigger. At the same time, the momentum of the Olanzapine decision propelled König’s law firm to move increasingly into advising pharmaceutical companies. Specialising in litigation work initially played no part in König’s master plan. He first negotiated licence agreements for biotech companies and enjoyed mediation. The patent attorney drew on his experience in the mechanical engineering sector, where many settlements are made because litigation is costly. “Like everything in life, you can find good solutions once everyone overcomes their ego,” says König. Upon buying specialist literature on mediation, however, a surprised bookseller told him, “Nobody has bought that for five years.” König left the well-trodden path and discovered a new passion for the courts. He enjoys sparring with his opponents. “But I couldn’t be a lawyer in criminal law or family law,” says König. He cares deeply about the issues in question, such as when certain drugs are not developed because they are not deemed economically viable. König, however, remains pragmatic. “Why should pharmaceutical manufacturers act more altruistically than other companies when it’s not in their economic interests?,” he asks.